Vítor J.P. Vilar graduated in Chemical Engineering at the Faculty of Engineering of the University of Porto (FEUP) in 2001. He received the Engenheiro Cristiano P. Spratley award and the best student prize in chemical engineering from Fundação Engenheiro António de Almeida. Vítor J.P. Vilar completed the Ph.D. degree in Chemical Engineering at FEUP in 2006, in the area of Environmental Technologies, with a scholarship from the Portuguese Foundation for Science and Technology (FCT). Meanwhile, he completed a post-graduation in Environmental Management in 2004 from Superior Institute of Paços de Brandão, Portugal. Between May 2006 to August 2007, he worked as postdoctoral researcher at FEUP in the area of environmental monitoring and assessment of surface water quality. 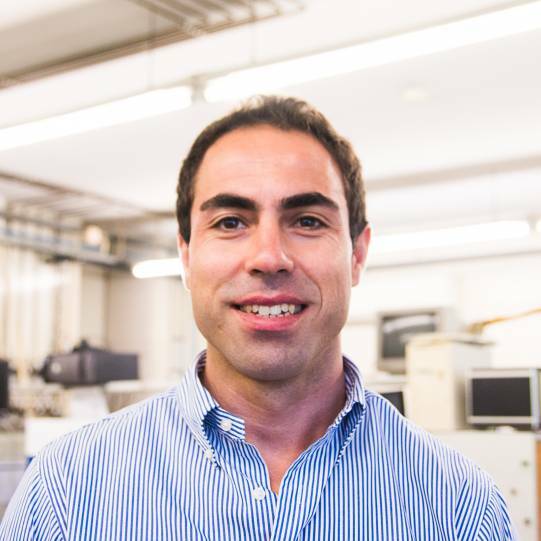 He pursued is work as postdoctoral researcher, between September 2007 and June 2009, in the area of solar driven advanced oxidation processes (AOPs), at FEUP and Plataforma Solar de Almería (PSA), with a scholarship from FCT. From July 2009 to December 2013 he worked as Assistant Researcher in Laboratory of Separation and Reaction Engineering–Laboratory of Catalysis and Materials (LSRE-LCM), Chemical Engineering Department, FEUP, under Ciência 2008 programme. Since December 2014 he is working as Principal Researcher in LSRE-LCM, under Investigator FCT 2013 programme. Between 2014 and 2016 he was also “Special Visiting Researcher” in the Federal University of Santa Catarina, Brazil, supported by the Ciência Sem Fronteiras Program. He has been teaching at FEUP since 2010 in several course units of the integrated master in chemical engineering and environmental engineering. Vítor J.P. Vilar is currently one of the editors of Environmental Science and Pollution Research (Springer) in the area of AOPs and president of the Iberoamerican Congress of Advanced Oxidation Technologies (CIPOA). He is the author and co-author of more than 300 scientific publications, including 2 conference books, 7 book chapters, 3 editorials, 145 papers in international scientific periodicals with peer review (h index = 27), 8 papers in national scientific periodicals, more than 160 communications in conference proceedings and co-inventor of 1 patent, receiving a total of 8 prizes. He has been involved in 5 international, 10 national R&D projects and 3 contracts with private companies related to the development of environmental friendly technologies for pollution control. He was also involved in the organization of 3 international scientific conferences and other events/videos for promotion of science and technology. I.M.A. Saraiva, M.A.F. Fonseca, V.J.P. Vilar, T.F.C.V. Silva, R.A.R. Boaventura, Method of treating leachate, phototreatment reactors and respective use. EU Patent 2784031, March 2014.